TNA's Youth Programs are designed to encourage the youth of Texas by providing numismatic centric programs that promote education in history, math, economics and culture in an interesting and fun manner. It’s simple! To describe my start in numismatics I must tell you a little about my father, Ralph W. Ross, Ph.D., environmental toxicologist and coin collector since the quaint old age of four years old. My father got everyone in our family interested in coins, including me. When my oldest brother Jason was born in 1983, my father feverously tried to get him a membership in the American Numismatic Association (ANA), to no avail. Finally, his unrelenting efforts paid off and Jason became an ANA member at five years old. My younger brother Jeremy and I both became members of the ANA at one year’s old. While I don’t remember joining the ANA, I do remember, as early as two years old, being quizzed about spelling words, such as EINSTEIN, MATHEMATICS and NUMISMATICS. My dad would ask me “How much is 1+1?” and I would respond, “2”. The word that family had to spell for my father, including siblings and other young relatives, was POP! By age three I knew that 2 + 2 = 4 = 22 = (2)(2) = 4. I owe my early numismatic education to my father, who some lovingly call “the genius”. A dedicated high school mathematics instructor for over twenty-five years, he loves mathematics and numismatics. He started the world’s largest high school coin club, at my alma mater, Williams P. Clements High School, in Sugar Land, Texas. So, you can see how I developed a natural affinity for numismatics since before I can remember. Coin collecting was inevitable in a household where there were red books, blue books, green books, black books, brown books, Numismatic News, Coin World, Numismatist, and other hobby journals & publications laying around the house. Our summer vacations were planned around ANA national conventions in cities around the United States. I have attended countless young numismatist meetings and youth coin activities and prepared my first educational exhibit at six years old. My first exhibit was about the new Sacagawea dollar that I became interested in while working as my father’s assistant at a local junior college during the summer. My father taught students about the golden Sacagawea dollar at “Kid’s College” as part of a local junior college summer program. The class was designed for elementary students and the curriculum combined numismatics and mathematical concepts relating to the fractional relationship of U.S. coinage; half-dollars, quarter-dollars and one-hundredths of a dollar. 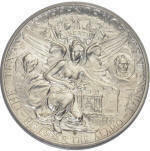 My father described the coins by historical and commemorative events surrounding the minting of the coins and he made coin collecting interesting and enjoyable. The Sacagawea dollar and the beautiful Indian girl caught my eye. My father later bought me a beautiful Indian doll and there began the foundation for my educational exhibit titled “My Sacagawea Dollar”. The design of the Sacagawea dollar was selected from a national competition where hundreds of submissions were considered by a panel appointed by Treasury Secretary Robert Rubin. The adopted motif depicts Sacagawea, a young Native American Shoshone, as conceived by artist Glenna Goodacre. 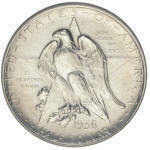 On the obverse Sacagawea carries her infant son, Jean Baptiste on her back, and the reverse shows an eagle in flight designed by mint engraver Thomas D. Rogers Sr. The composition exemplifies the spirit of liberty, peace, and freedom exhibited by Sacagawea as an interpreter and guide to explorers’ Meriwether Lewis and William Clark during their famed westward march from the great northern plains to the Pacific. One of my most memorable moments as a collector was meeting Sacagawea designer, Glenna Goodacre and coin model Randy’l He-Dow Teton at the 2001 ANA World’s Fair of Money Show in Atlanta, Georgia. My father’s sister, brother and their spouses joined my family at the ANA convention to make it a family affair. We all dined as a family at the ANA banquet and took pictures later that evening with Sacagawea model Randy’l He-Dow Teton. I will forever remember this numismatic event in Atlanta, Georgia as a moment-in-time where coin collecting became a true Ross family hobby. We believe that coin collecting is a family activity where everyone gets involved. Today, I still love the Sacagawea dollar. My deepest regret as a collector is that scheduling conflicts prevented me from accepting the Florence Schook Scholarship for the ANA summer camps in Colorado Springs, Colorado. As a bright, eager scholar, I participated in educational summer programs and internships at elite universities across the United States that were scheduled during the same periods as the ANA summer camps. I am now an 18 year old freshman matriculating at Columbia University in New York City. A Biomedical Engineering major and Freshman Class President of the School of Engineering, I am still passionate about coins, but have little time for anything other than school. Although I don’t have much time for collecting coins right now, I will always be a life-long collector. I understand that coin collectors range from basic collectors to professional numismatists and everything in between. I will forever love numismatics and can appreciate the excitement my father must have felt at four years old. I am so lucky to have a numismatic, mathematician father who inculcated me with a love of mathematics and numismatics! Class of 2016 Engineering Student Council President. Jillian D. Ross, age 6, holding World Coins standard catalogue (front row, far right) June 2001. TNA.org was created by David Kerr-Burke on 11/04/1997 and has been maintained at zero cost to TNA for the last 21 years all rights are reserved.